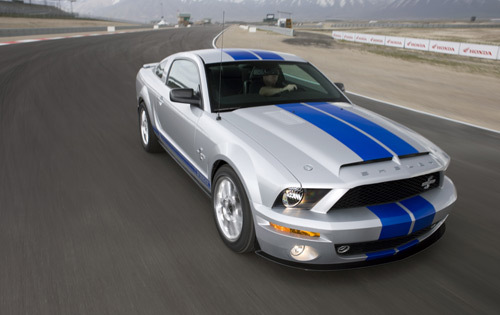 Ford Shelby and Ford Mustang are my favorites model from Ford and the new GT500KR is really amazing! 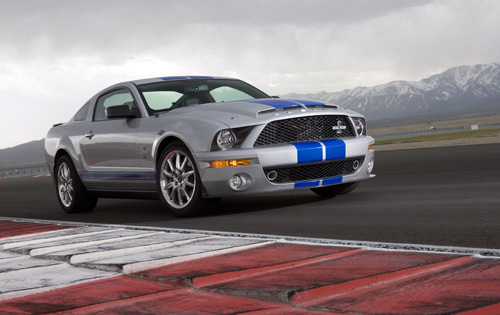 The 2008 Ford Shelby GT500KR is a celebration of the 40th anniversary of the original 1968 Shelby GT500KR. 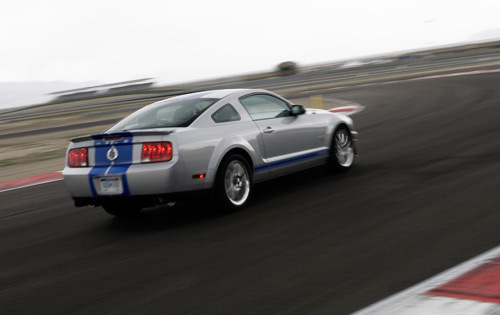 It starts as a Mustang GT500 that has been fettled by Ford‘s SVT group, and then the rolling chassis is shipped to Shelby’s facility in an industrial park adjacent to Las Vegas Motor Speedway, where many of the KR-specific bits are installed. A new carbon-fiber hood weighs 11 fewer pounds than the GT500’s aluminum version and improves power by reducing pre-intercooler air temperature by about 10 degrees Fahrenheit. Power output rises by 40 horsepower, thanks to a remapped ECU, and a freer-flowing intake and exhaust. 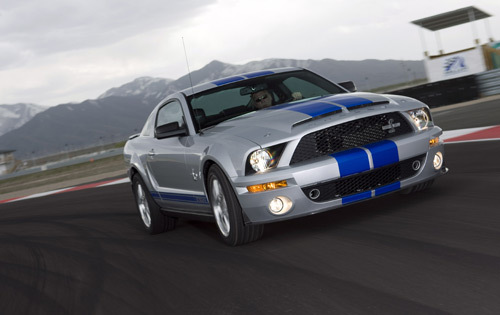 The supercharged 5.4-liter V8 produces 540 hp and 510 lb-ft of torque. 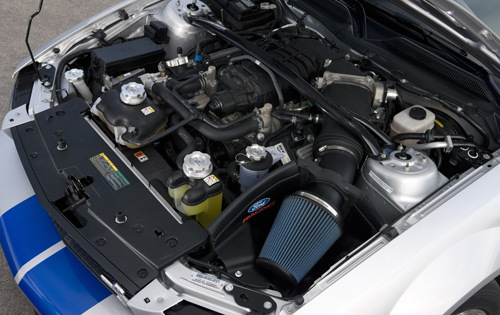 The conical air filter from the Ford Racing catalog improves intake air flow. If you want to get closer, bring money. A revised carbon-fiber splitter reduces lift and drag at the front of the car to improve the KR’s high-speed stability. 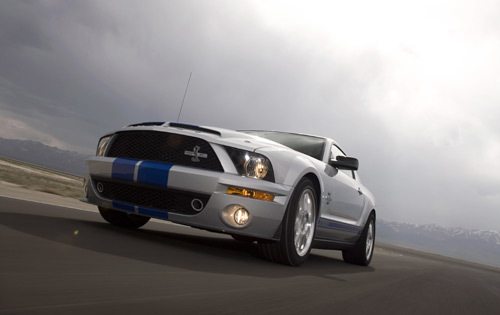 Pingback: “all-digital-moves” » 2008 Ford Shelby GT500KR | CarzTune. Car tuning.